In recent years the world of blogging has exploded. Seemingly everyone and their dog has a platform online to post their thoughts and feelings. Blogging has been particularly popular amongst parents, with the mummy blogger becoming an increasingly big part of it. However, with the sheer amount of blogs online, how on earth do you filter through them to discover the good from the bad? Thankfully, we’ve gone through the trouble for you to pick out 50 of the best mummy bloggers to follow in 2019. Multi award-winning blogger and blogger Vicki setup Honest Mum back in 2010 and it has gone from strength to strength, since its magazine approach makes it really accessible. Jen Walshaw is a mum of two boys who loves to write about gifts, arts & crafts, children’s activities and lots more. 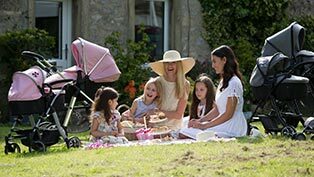 Multi award-winning blogger Tigerlilly covers every lifestyle topic a young modern mother wants to read about, from fashion to travel and everything in between. 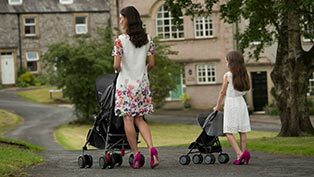 As well as providing great posts for women looking to have children later in life, there’s also blogging coaching and courses to try on this blog. Fiery-haired and married mum of two Donna covers everything from product reviews to handling brother and sister relationships. Based in Scotland, Susan is a working mother of two little girls who blogs about recipes, travel, parenting advice, reviews and more. Helen initially started writing this blog via the voice of her daughter’s diary, however, she now expresses her own tips and advice on being the parent of a young daughter. Mother of two Jo discusses everything from her experiences of teenage pregnancy to travel, food to fashion and much more. Sally works full time in social media and is a single parent to daughter Flea. The main focus of her posts centre on travel, tech and lifestyle. Stay at home mum Jamie shares her tips on looking after her sons, travel, technology and how to keep fit as a parent. Katie started writing during maternity leave for her first child, she now has three and posts great stuff about interiors, travel, photography and more. Kerry is a single mum of two young kids (Amelia & Harrison) and she creatively shares her stories and tips on pregnancy, days out, living as a single mum and plenty more. Anna is a stay at home mum with three boys and a baby girl living in London. She shares her ideas on family days out, toys, food and more. Married with two children, Laura covers lots on this great blog from lifestyle to toy reviews. Her husband Ben also contributes with fitness and fatherhood guest posts. Clare lives in Essex with her husband, daughter and son. As a former nanny, she has lots of great experiences with children to share. On her award-nominated blog, Katy discusses lifestyle tips from her family of five, such as cooking for big numbers, travel and home organising. Zena has three daughters ranging from an 18-year-old to a 2-year-old and loves to talk about their days out and travelling adventures. Alison is a freelance magazine editor living in London who has turned her hand to lifestyle blogging since the birth of her daughter. Expect travel, style, politics, feminism and more. Victoria is mother to a nine-year-old who covers all the classic mummy blogger topics as well as posting her own poetry, photography and a vlog series. Living with her husband and three kids, Amy covers lots of lifestyle topics and really excels with her recipes and photography. Perfect for the foodies out there. This 30-something mum of two discusses trying to live a healthy lifestyle and her journey looking after her youngest who is autistic. Debs is a mother of five living in Northern Ireland. Debs and her husband love tech, making this a great family and lifestyle blog for those with similar interests. Holly is a mum of three and was a finalist on the Great British Bakeoff. She creates delicious meals that every family can try. Mirka is a mother of two girls and loves to travel. While they live in England, she is from the Czech Republic, meaning travel and multiculturalism really are at the heart of this family. Becky is a wife and mum of three living in Ireland. She is very proactive and covers everything from recipes, toy reviews and blogging tips. Her videos are a particular highlight. Living with her husband and two kids, Jocelyn blogs about lots of different topics including family days out and gardening. Hayley is the proud mother of three young boys and writes about family life, travel they enjoy and mental health and wellbeing which parents will find particularly interesting. Lucy is a self-confessed modern hippy. Expect posts about co-sleeping, breastfeeding, nappy free babies and more! Rachel covers all the usual topics, but look out for her toy reviews and giveaways as well as her money saving posts which are great for any parent! Emma writes about lots of brilliant experiments you can do with children from preschool up to Key Stage Two, making learning at home extremely fun! Joy and her husband are proud parents of four boys. She covers every aspect of parenting with particular emphasis on autism and sensory processing disorder. Blogger and vlogger Karen focuses her efforts on great posts about family activities, crafts and baking and also hosts plenty of fun competitions for readers. Creative Emma is bursting with arts and crafts ideas to help you keep the kids busy and happy on even the most miserable of days! Sophia began writing as a beauty blogger way before she became pregnant with her first child in 2016. She now combines great posts about both of her favourite things. Kate is a mum of two and lives by the sea in Cornwall. She loves sharing her craft ideas for both adults and children which are perfect for anyone to try. Mary has a 7-year-old son and together they love to play and explore. Find plenty of informative toy reviews, days out advice and plenty of great photographs. Becky covers all angles in her blog but with an extra focus on creative ways to save money and raise extra cash for your family to enjoy. Amy is very passionate about the way in which play can help educate our children. So, for inspirational and educational games, crafts and activities, this is the place to visit. Originally from the US, Erin now calls Yorkshire her home. Here you can find info on all the family events and fun to be had in West Yorkshire as well as reviews and competitions. Clare is a mum of two and manages to balance her fast-paced corporate work life with caring for her kids. A great blog for any parents who juggle home and a profession. Rebecca has three young girls, making this a particularly excellent blog for anyone with a similar family. She covers everything from recipes to toy reviews and days out to arts and crafts. Self-titled free spirit Amy has two children and recently moved from the UK to the US. As well as great lifestyle posts, she also discusses the premature loss of her two other children which will resonate with many parents who have been through the same. Italian expat Marta lives in Ireland with her family and dedicates her blog to fun and informative family travel guides to help you find a great break to enjoy with your kids. Gina is a mum and freelance writer. On her own blog, she loves to discuss her home, wellbeing, travel and money saving in a great weekly helpful post titled ‘Thrifty Thursday’. Donna is a full-time blogger, allowing her to spend plenty of time with her son. As well as writing about London life with children, she focuses plenty of time on fashion and beauty because of her background in the industry. Mel and her husband are parents to four children. She is a food obsessive and creates delicious recipes of all kinds for parents to create for their kids. Jenni lives with her three-year-old daughter and Danish husband in the Midlands. As well as writing all about the roller coaster of parenthood, she also blogs about her struggles with fibromyalgia and how it affects her life. Perfect for those parents who have the unique challenge of handling twins. Beth has a son and twin girls which makes this blog insightful and funny in equal measure. Mother of two, Jenny is very creative and doesn’t just fill her blog with the usual lifestyle posts, but also with personalised home interior tips and craft ideas to keep your children busy. Kaz has four children but writes the majority of this blog from the perspective of her youngest. Follow the weekly adventures of Pickle while also enjoying posts on teens, reviews, travel and more.